Authorities in Beijing have launched a nationwide crackdown on mainland Chinese Twitter users. The December 5 release of 42 testimonies collected by China Change , a Chinese human rights advocacy site, details the ordeals of hundreds of Twitter users who have been detained and interrogated by national security police officers since September 2018. In most cases, police have asked — if not forced — these users to delete their posts or accounts. Although Twitter is blocked in mainland China, many netizens use circumvention tools, such as VPNs (virtual private networks) to visit the social media platform, get in touch with friends or access uncensored information and news. In 2016, there were an estimated 10 million Twitter users  in mainland China. A majority of the users used the site as a news-gathering tool, and refrained from making comments, but some were outspoken, actively making critical comments when retweeting news to their friends. Mainland Chinese authorities have arrested Twitter users in the past, but there was no clear pattern or evidence of a strategic crackdown. Incidents were sporadic and random, like the 2012 arrest of amainland Chinese Twitter user who made a joke  about the collapse of the Hall of the People's Congress. The current crackdown is a new and more worrisome development. It is happening nationwide and is not restricted to a specific online incident or act. The number of Twitter users who have been directly threatened is estimated to be in the hundreds or even more. 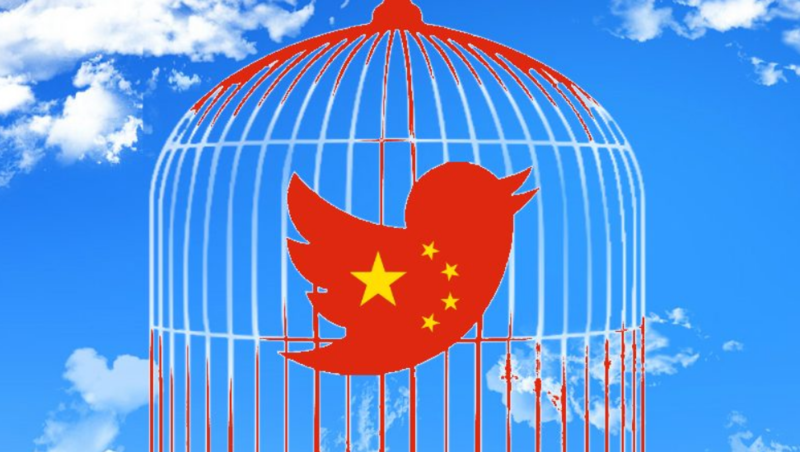 According to a report from Radio Free Asia , cybersecurity authorities have detained and interrogated dissenting Twitter users from all over the China including Beijing, Chongqing, Guangdong, Shandong, Fujiang, Hubei and other provinces. Some have been placed on administrative detention for 10 days. One user who refused to cooperate with cybersecurity officers was arrested and may soon face prosecution. There is no official information about the Twitter crackdown. But the documentation efforts  of China Change have allowed us to read testimonies of arrested Twitter users and their friends, providing an overview of the latest social media crackdown in the country. Twitter user @Xybaiyun2018 was arrested by some 30 domestic security officers on October 31. He was then beaten and detained for 10 days. The police found his Twitter password and deleted all of his content. During the interrogation, the police officers said that reposting of “political rumors” was illegal. They emphasized @Xybaiyun2018's retweeting of posts by Guo Wengui, an exiled Chinese billionaire accused of corruption, who fled to the United States in 2014 and is known tweeting allegations of corruption within the Chinese Communist party. @Xybaiyun2018 asserted that all his tweets had not violated China's anti-rumor law, which dictates that any message containing a “rumor” and shared more than 500 times can be subject to prosecution. The law says that any piece of information  that does not come from official government channels can be considered a rumor. The blogger has long tweeted anonymously using his mobile phone. He believes that the police identified him by way of mobile surveillance technology. They printed all the stuff from 5-6 years ago regarding the same-city meal gatherings [part of the New Citizens Movement], and they also printed all of my tweets and retweets. They said these were evidence of my criminal activities. At 10 pm, their political officer interrogated me again, giving me a notice for 15-day administrative detention. It describes me as defaming the national leaders and attacking the current political system on Twitter. You guys still don’t get it: using Twitter is very dangerous, more dangerous than street demonstrations. Since Twitter is not accessible in China, it does not have much capacity to affect domestic politics. This makes it difficult to see why authorities are pursing such a crackdown. Sources from Chinese Human Rights website Weiquan Wang  said that the crackdown may have been precipitated by the upcoming fourth plenary session of the 19th CPC Central Committee . Perhaps cybersecurity authorities wanted to make sure that no dissenting voices would undermine Xi Jinping’s public image in or outside of China. While the aim of the crackdown cannot be validated, Chinese authorities have demonstrated that they can identify and locate dissenting Twitter users inside China. It indicates that Chinese cybersecurity agencies’ capabilities now allow them to extend their surveillance power and threaten users of overseas social media platforms like Twitter, but also other major players such as Facebook, Instagram, and or mobile messaging tools like LINE and WhatsApp. Several made-in-China apps such as WeChat, Weibo and Alipay, which all have a reputation of disrespecting the privacy of their users, now have an increasing presence outside of China. Some are worried that this could enable Chinese cybersecurity authorities to extend their reach and threaten overseas Chinese communities. The recent cancellation  of an art exhibit by Australia-based Chinese political cartoonist Badiucao in Hong Kong last month and the suspension of his activities on Twitter  have shown that such developments may portend more ominous acts of repression. Editor's note: The original version of this story incorrectly quoted Weiquan Wang as saying that the crackdown may have been precipitated by the second plenary session of the CPC Central Committee. Weiquan Wang suggested that the upcoming fourth plenary session might be the cause, not the second.